PUTRAJAYA, 9 December 2015 : Spaniard Francisco Mancebo stormed to an early lead at Jelajah Malaysia with a commanding opening stage performance today which left many riders in awe of his capabilities. 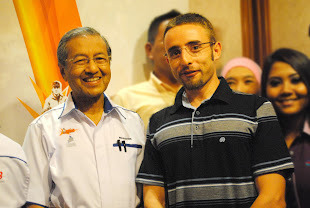 The Skydive Dubai rider took the stage win in a time of three hours, 31 minutes and 55 seconds on a day which saw riders cover 159KM starting from Menara DBKL in the heart of the city through Selayang, Rawang and Kapar before finishing in Putrajaya. In addition to leading the general classification, Mancebo's performance also places him in the lead in the points classification (blue jersey). 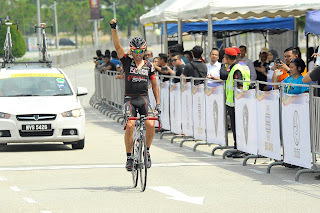 Team Hong Kong's Cheung King Lok (1:03s behind Mancebo) and Marcelo Felipe (Team 7 Eleven Roadbike Philippines) came in second and third on the same time. 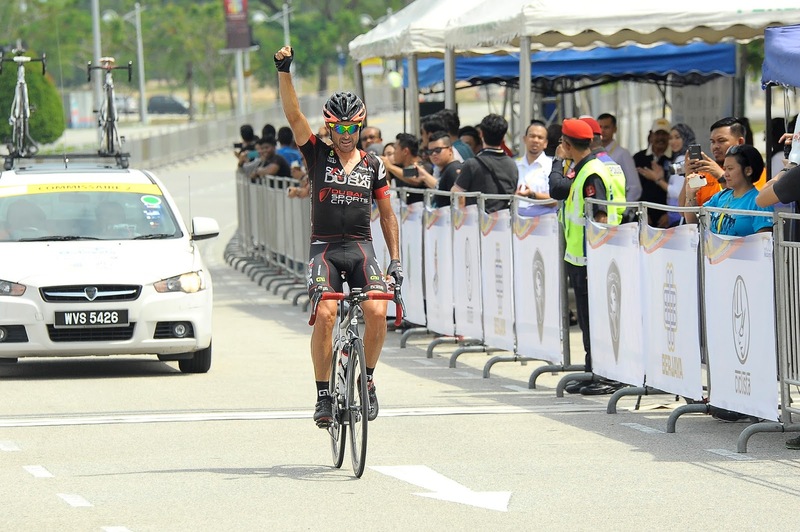 The 39-year-old, a former Vuelta a Espana stage winner, however, downplayed his performance. "It is normal for the first stage to be tough and you could lose the race (tour) on the first day itself if you are not careful," said Mancebo. 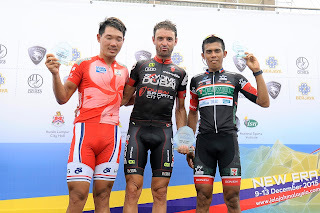 "I am happy as I managed a good breakaway with 28 other riders (after Batu Arang) and pulled away on my own at the end to win it. 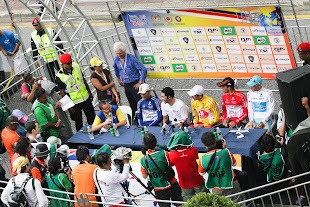 It was not easy but there are also other riders in our team who are capable of winning stages. "I now have a good gap over the second place rider and I am looking forward to the next stage." 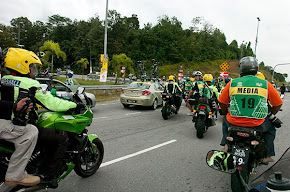 Shaiful Anuar Aziz of Terengganu Cycling Team was the best Malaysian on the day as he finished fifth on 3:33:16s while his teammate Nur Amirul Fakhruddin Mazuki did well to lead the climbers classification (red jersey) after winning both mountain points at Bukit Templer and Batu Arang. 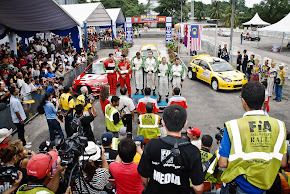 Nur Amirul said: "It was good to get the win. 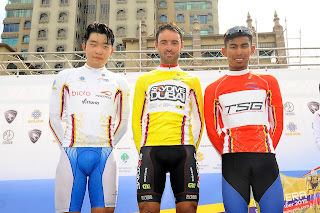 It was not something I expected to do as I am still fatigued from competing at the Tour of Sharjah. "I expect it (King of Mountains classification) to get tougher from here as there are a lot of good climbers, especially from Pishgaman Giant Team." 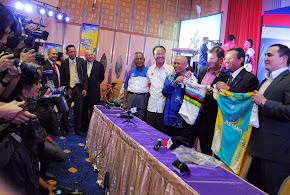 Putrajaya will host the second stage of Jelajah Malaysia which will see riders competing in the 16.5KM team time trial. 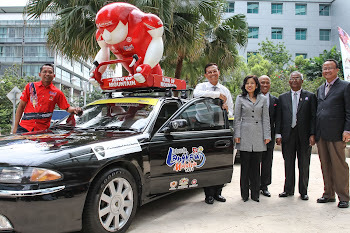 The Jelajah Malaysia 2015 is scheduled to be held from 9th to 13th December and is a UCI sanctioned 2.2 class race, organised by the Malaysian National Cycling Federation and managed by Peloton Resources. 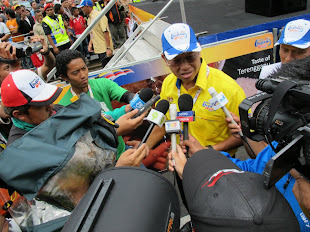 Pulse Media Communications (PMC) is an event management company; specialising in sports marketing and media operations. 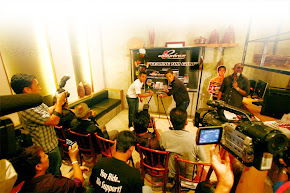 It was established in 2003 by three individuals that aim to provide a unique touch to event management; hands-on, effective handling of events that meets the requirements of its client and at the same time respects the cost structure of staging an event. With combined expertise, 13 years of solid experience locally and internationally, we are fast gaining reputation as a dynamic, aggressive and forward-thinking company. 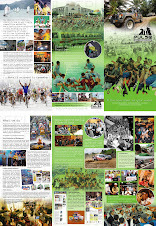 All photos/designs posted are the copyright of Pulse Media Communications and the event organizer. 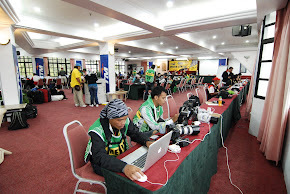 Usage of the photos is prohibited without the consent of PMC or the organizer.